Thank you for visiting my newborn photography page. On this page you can find more information about newborn photo sessions, my style, prices and how to book. Bringing a new baby home is an incredibly special time in any parent’s life. The period when a newborn baby is small and curled up passes by so quickly; before you know it you’ll have a baby ready to roll, sit and explore. Capturing those early moments as a new family, sometimes in company of your extended family, can provide memories which will only be made more special with passing of time. I would be delighted to photograph your family and baby during this unique time in your life, so please contact me if you would like to have a chat, or you would like to book me in for a photoshoot. There are some amazing newborn photographers specialising in making babies look adorable lying in nest-like baskets, wearing cute little outfits. Although I think those types of photos are fantastic, my personal style when it comes to newborn photography is a bit more laid back and natural. 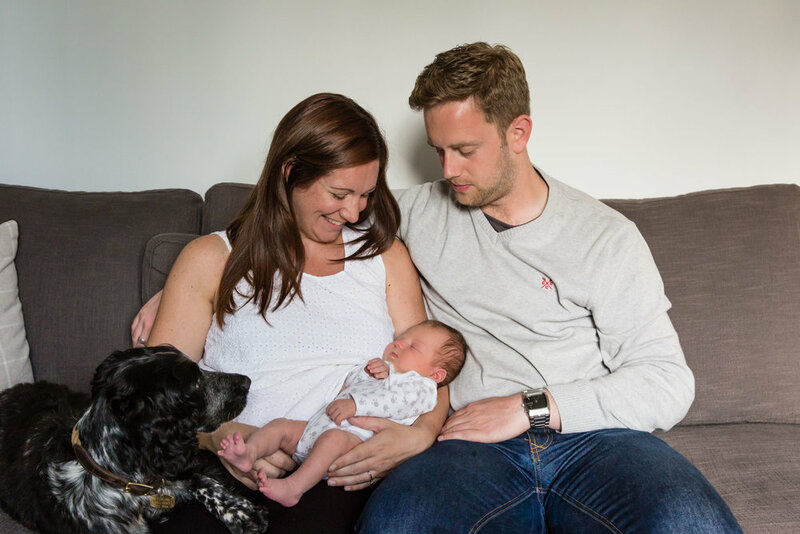 I aim to document a very special time in you and your partner’s life in a set of beautiful photographs which will capture candid moments between family members and baby. 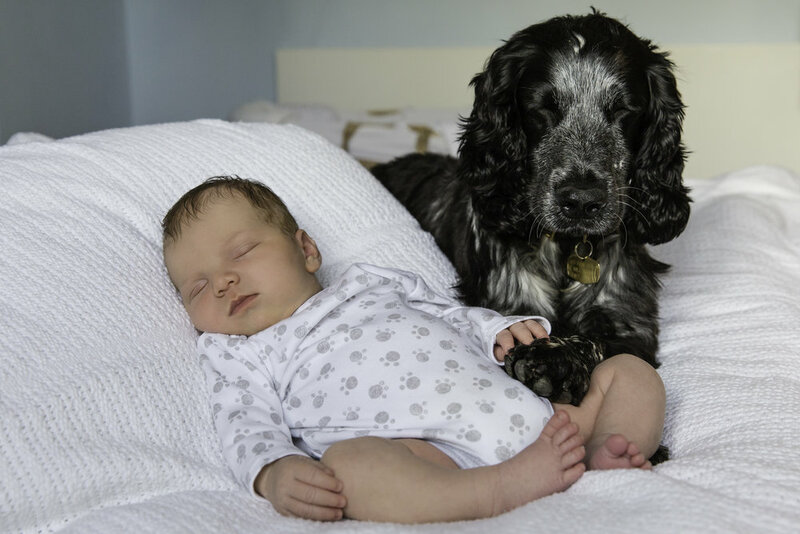 I also take portraits of your new baby which you can frame and look back on in years to come. My work as a family and wedding photographer gives me confidence to photograph larger groups should you want to include the grandparents, aunts and uncles into the photos. My newborn photo sessions last up to 4h. This allows plenty of time for a relaxing photo session, and takes into consideration time you may need to feed, change or settle your baby. I will come to your home and take photos using soft natural light, working with your home surroundings to add interest and creativity into photographs. I also have a set of portable studio lights for darker homes, and to use for more formal portraits. I also offer maternity photoshoots. Some of my clients choose to have both the maternity and newborn photoshoot. If this is something you are considering, please get in touch. I am based in Surrey but work all over the county. The majority of my work is in Richmond-upon-Thames, London and the South East. I travel free of charge within 50 mile radius of where I live. For location shoots outside this area, I include an additional travel charge. I am happy to design an album for you with photos from your shoot, or frame photographs from your newborn portrait session. Please get in touch if you would like to arrange/enquire about this. 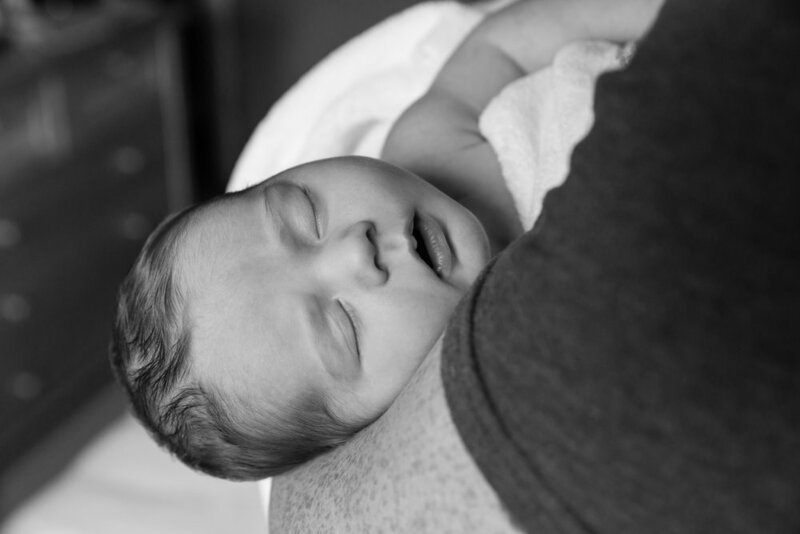 Booking a newborn photo session is easy. Contact me by email, call on 07793 677 867 or use a contact form on my website, and tell me a little bit about yourself, your baby and when you would like the photoshoot to take place. 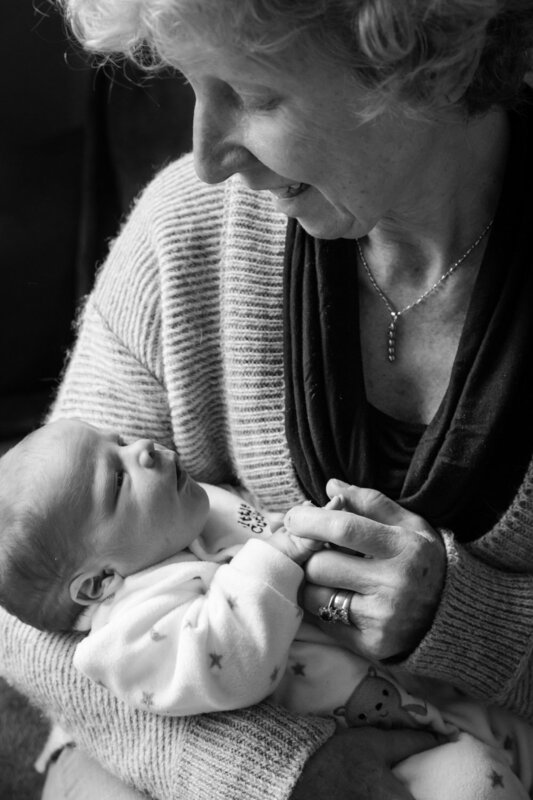 I offer a variety of gift vouchers including vouchers for newborn photo sessions. These make great presents for new mums and dads; a unique gift they will cherish in years to come. Please visit my gift vouchers page for more information, or get in touch to enquire.